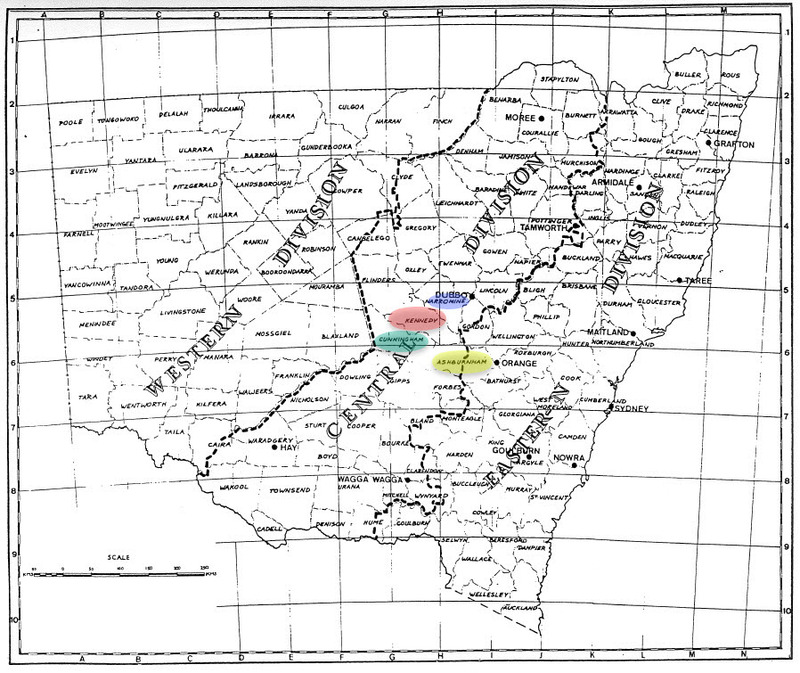 Continuing our series on the counties of the early colony of New South Wales, this post focuses on the county of Kennedy. 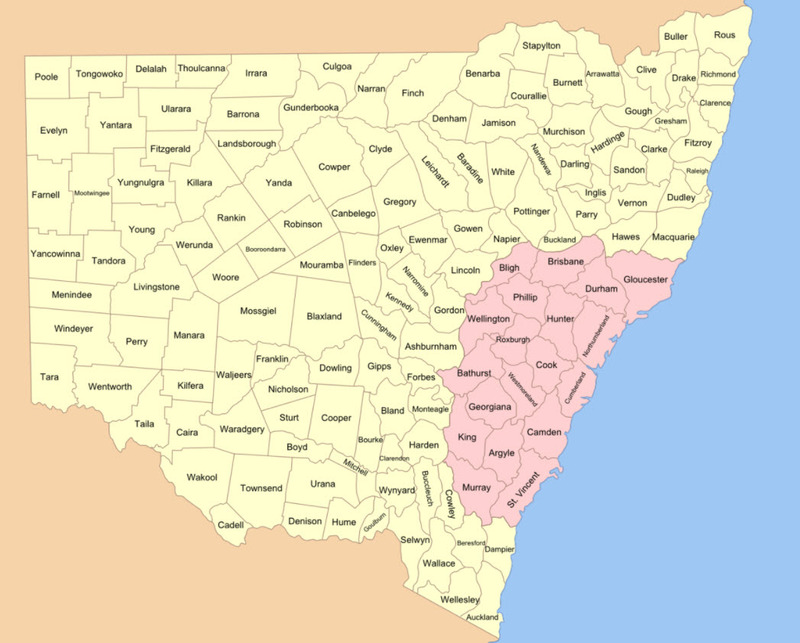 Part of the 141 counties of New South Wales, Kennedy was proclaimed a county in 1862 (twelve years after the establishment of Ashburnham county). While the name ‘Kennedy’ has many thinking it is Irish, the county is named after a famous Australian explorer who was born in the Channel Islands. 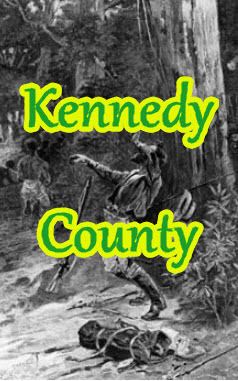 Edmund Besley Court Kennedy (1818-1848), explorer, was born on 5 September 1818 on Guernsey, Channel Islands, the sixth of eight children of Colonel Thomas Kennedy and his wife Mary Ann, daughter of Thomas Smith, sometime lord mayor of London. All his brothers later distinguished themselves in either the Church of England or the public service, and a strong parental influence in both these directions is obvious. Edmund himself was educated at Elizabeth College, Guernsey, and trained as a surveyor. 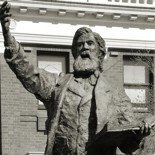 Kennedy displayed an interest in surveying while at school at Elizabeth College. Encouraged by a family friend – the naval officer Captain Charles James Tyers – he obtained the necessary qualifications at King’s College London in 1839 (Beale, Edgar (1983) page unknown). Then at age 21 he set sail for Australia, arriving in Sydney in March 1840 on board the barque Globe. Initially he worked for Tyers, joining him on an overland journey to Melbourne and then to Portland Bay for surveying work. While in western Victoria, Kennedy experienced some controversy. Firstly he met an Irish immigrant, Margaret Murphy, and a daughter was born to the unmarried couple. Sadly this daughter passed away at age five. In addition to this alliance, Kennedy also incurred the wrath of local magistrate, James Blair. 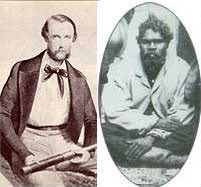 He was cleared of the allegations by Superintendent Charles La Trobe but was still recalled to Sydney where he wrote to the governor defending himself of his actions in regards to James Blair, but expressing deep contrition for his relationship with Margaret Murphy. 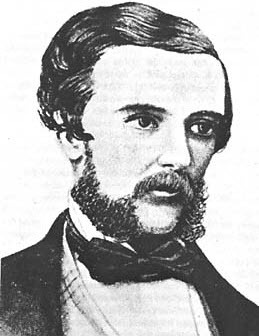 After a period of inactivity – more due to falling off in land sales which led to less demand for surveyors – Kennedy’s work ethic and talent were again in demand in November 1845 when was appointed second-in-command to Sir Thomas Mitchell. Initially Sir Thomas Mitchell was critical of Kennedy but over time came to praise his “temperate and gentlemanly way, and highly honourable principles” frequently recognising his zeal and activity. Kennedy was put in charge of maintaining a base camp for more than four months while Mitchell explored the central west of Queensland. 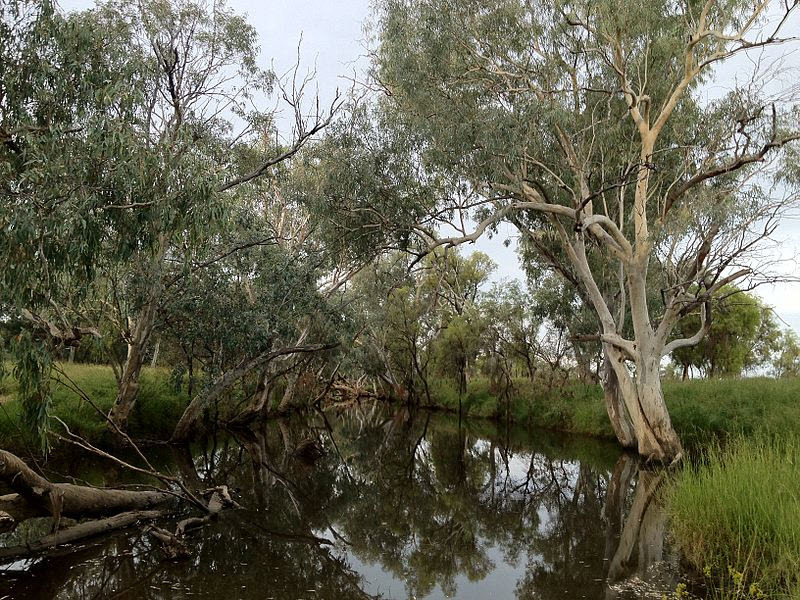 Mitchell discovered a river which he named the Victoria. Mitchell and his entire party returned to Sydney in January 1847. 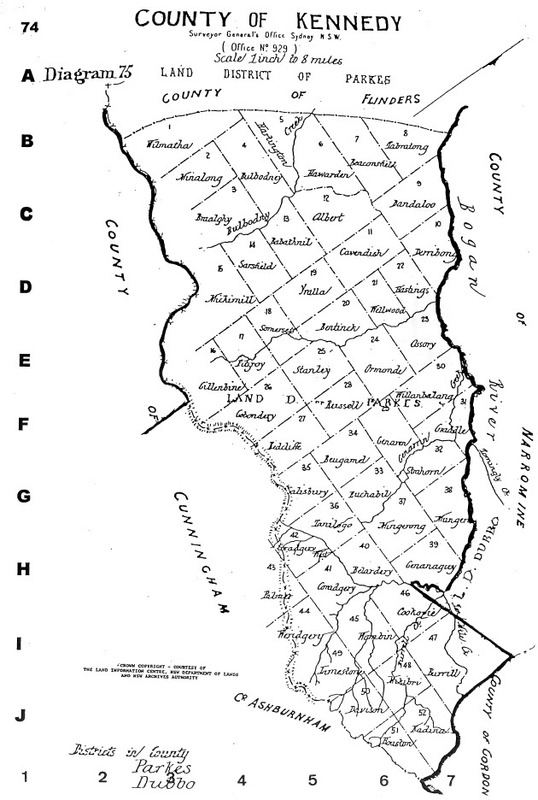 The naming of Kennedy County, in 1862, was part of the then current trend of recognising people who made a contribution to the colony of New South Wales, rather than English aristocrats or military leaders (such as 4th Earl of Ashburnham) NOTE: The state now known as Queensland was part of the colony of New South Wales until 1859. 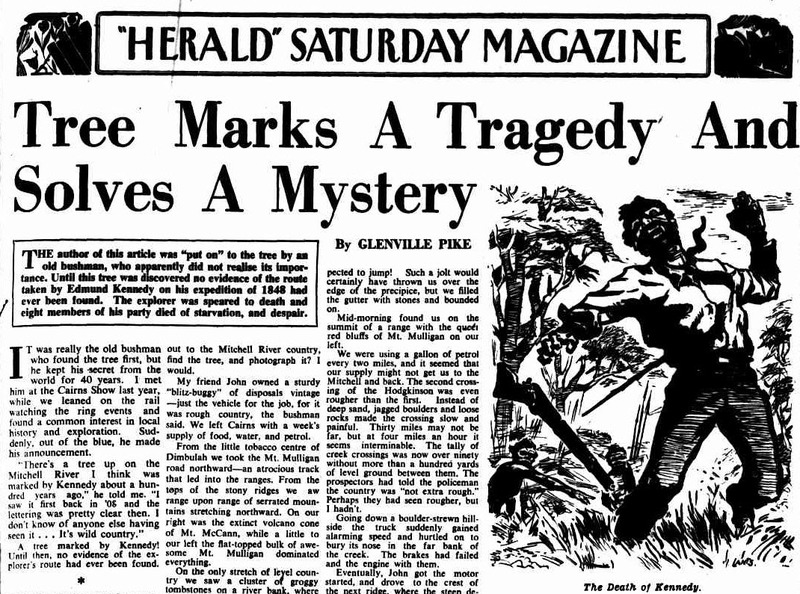 An excerpt from newspaper article about the tragedy and mystery involving Kennedy’s death. To read the full article click here. Source: “HERALD” SATURDAY MAGAZINE (1949, October 1). 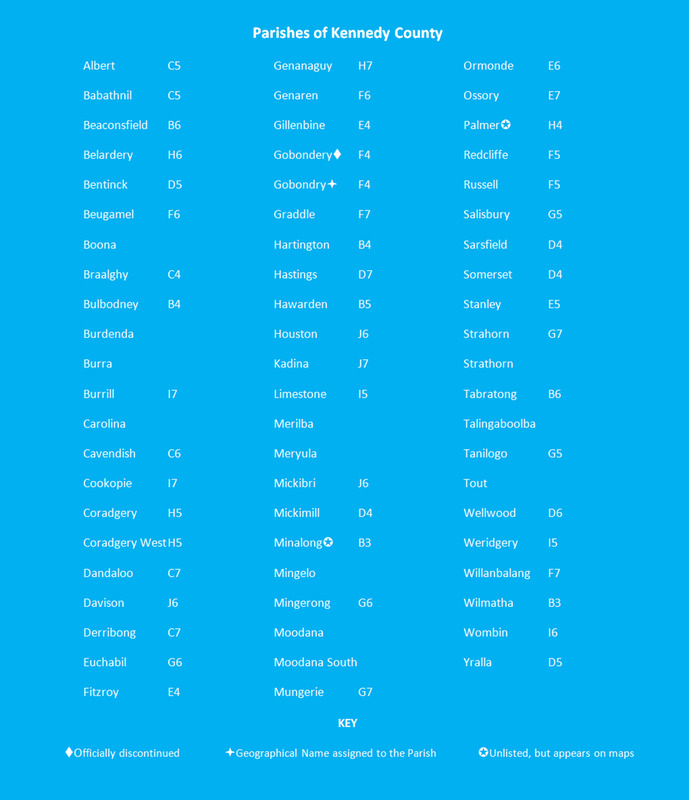 The Sydney Morning Herald (NSW : 1842 – 1954), p. 7. 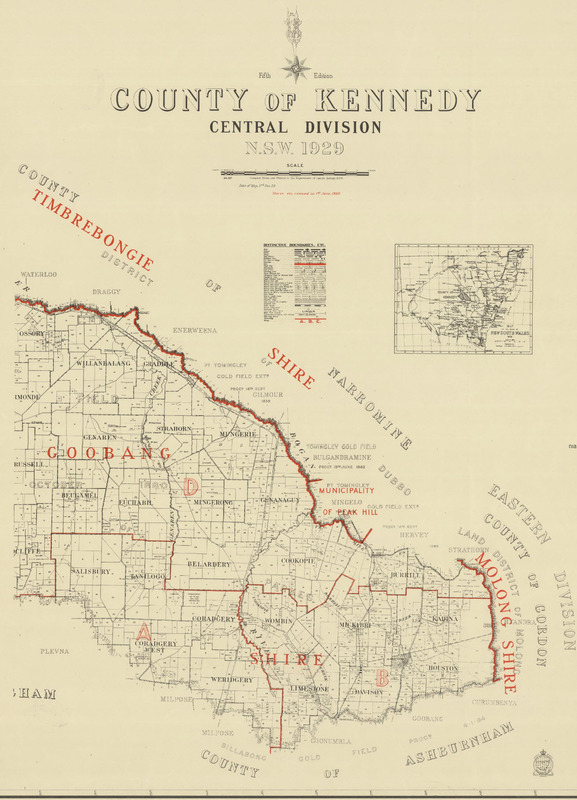 If you have stories of Ashburnham county that you are willing to share please contact Parkes Shire Library via library@parkes.nsw.gov.au so that they can be shared and kept for posterity on this blog. Alternatively you may leave comments on this page. 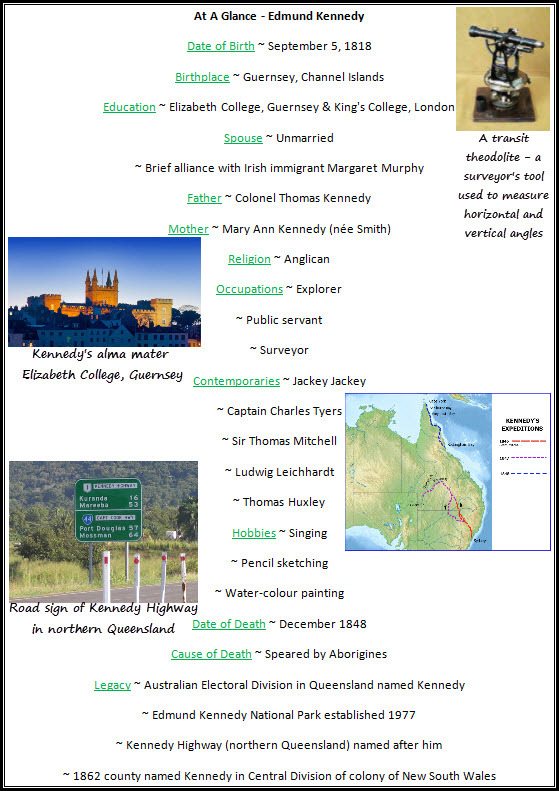 This entry was posted on January 23, 2018 by parkeslibrary in 1840s, 1850s, Aboriginal, Alectown, brief background to cadastral maps, Edmund Besley Kennedy, exploration of Australia, General history, Kennedy county, Kennedy the Explorer, Legacy, local historical articles, Settlement in Parkes, the county of Kennedy, Uncategorized and tagged 141 counties, 1825 Royal Instructions, Alice Jansen, Ashburnham county, Australia, Australian Dictionary of Biography, background to cadastral maps, Banjo Paterson, Barcoo River, Barcoo Salute, cadastral maps, Cape York Peninsula, Captain Charles Tyers, Central Division, central west Queensland, Channel Islands, Charles La Trobe, colonial Australia, colonial history, colonial New South Wales, community, Cooper's Creek, counties and parishes, County & Parish Maps of NSW, county of Kennedy, Crown land, Culgoa, Cunningham County, Department of Lands, Document Supply Service, Edgar Beale, Edmund Besley Court Kennedy, Edmund Besley Kennedy, Edmund Kennedy, Edmund Kennedy National Park, Elizabeth College, Elizabeth College Guernsey, Goobang Shire, Governor Brisbane, Guernsey, history, Jackey Jackey, James Blair, Kennedy county, Kennedy Highway, Kennedy the Explorer, Kennedy's expeditions, King's College London, Ludwig Leichhardt, Margaret Murphy, Melbourne, Narromine County, parish maps, parish of Albert, parish of Houston, Parishes of Kennedy County, Parkes Shire, Parkes Shire Council, Parkes Shire Library, Portland Bay, Records NSW, settlement, Sir Thomas Mitchell, speared to death, State Archives & Records, State Library of New South Wales, Superintendent Charles La Trobe, surveying, Sydney, the Barcoo, Thomas Huxley, Three Expeditions Into The Interior of Eastern Australia, unmarried couple, Victoria River, Warrego River, Weymouth Bay.